Differentiate your ads from your competitors by using merchant promotions and providing users with a special offer. A product image, price, and special offer combined in one ad is a killer recipe for success, and the likelihood of users clicking on the Shopping ad is much higher in comparison to regular text ads or even organic results. 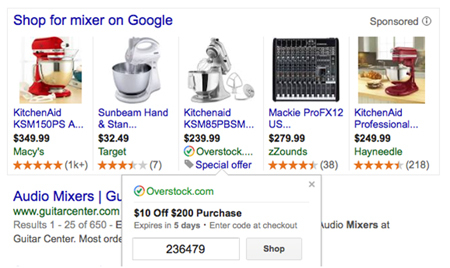 A couple of ways you can measure the success of promotions are 1) by comparing the CTR (pre/post) and 2) creating a report segmented by click type in your AdWords account for “Product Listing Ads – Coupon” click type. We all know how important it is to keep the feed up to date and avoid any disapproval, especially in the holiday season – this feature will help you do that. 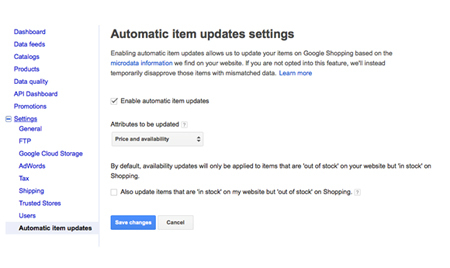 If there is a difference in price or availability in the product feed compared to the website, this will automatically update and reflect the correct price/availability (temporarily) on Google Shopping instead of disapproving your ad. You would, however, be required to have schema.org microdata implemented on your website and enable this feature from your Merchant Center account in order to get started. Note that this feature does not guarantee that your product will always be approved, so keeping the product feed fresh is still recommended and the best practice. Extend your reach beyond Google with its Search Network and advertise your products on other websites. Similar to text ads, you have an option to display PLA ads on search partners’ websites and get additional exposure. This is the default setting when you create a new Shopping campaign, so if you prefer to only use Google Search and Shopping to advertise your products, then make sure to opt out by deselecting the “Include search partners” checkbox at the campaign level settings. Low Priority: This is the default setting and most of your campaigns would fall under this category. Medium Priority: Promotional campaign (Merchant Promotions), top sellers campaign, poor performers campaign, etc. will fall under this category. This setting will ensure that these campaigns will be served over campaigns with a low priority setting. High Priority: Include campaigns for special promotions like Black Friday or Cyber Monday here. One of the biggest advantages of grouping these campaigns differently is to bid for them separately and be able to capture available impression share in the market wherever necessary. While serving an ad, Google will first look at the priority setting – higher priority will trump low and medium priority and medium will trump low priority. If the same product exists in multiple campaigns and both campaigns have the same priority level, then the campaign that has a higher bid is eligible to be served. With Shopping campaigns, you can now see benchmark data at the product group level, which will allows you to see competitive metrics and understand how similar products are performing in comparison to your product group. 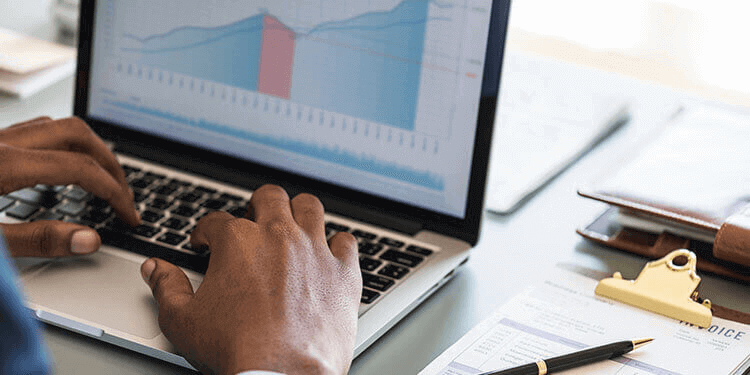 Use this data to make changes to the product information on the feed (to gain higher CTR — if it’s significantly lower than the benchmark CTR) and make bid adjustments based on the benchmark CPC data (to capture higher/lower available impression share). This data is also available at the product group level and will help you understand the available impression share on Google Shopping for similar products. This could be really helpful for some of your product groups for top performing campaigns where you would want to have as much available impression share as possible in that space. 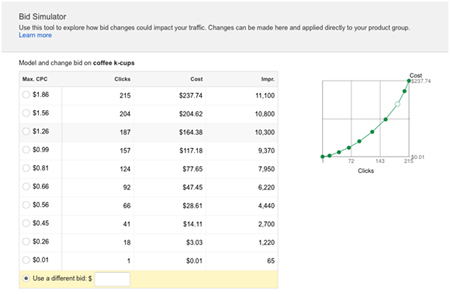 Similar to other search campaigns, this feature will provide you estimates about the impact on traffic (impressions, clicks, or costs) while increasing/decreasing your bids for product groups. One thing to note is that the bid simulator displays data based on projections of traffic for the last seven days and does not take seasonality into consideration. In summary, use these shopping campaign features to better target your audience with exciting offers and understand where to make appropriate adjustments for top performance.